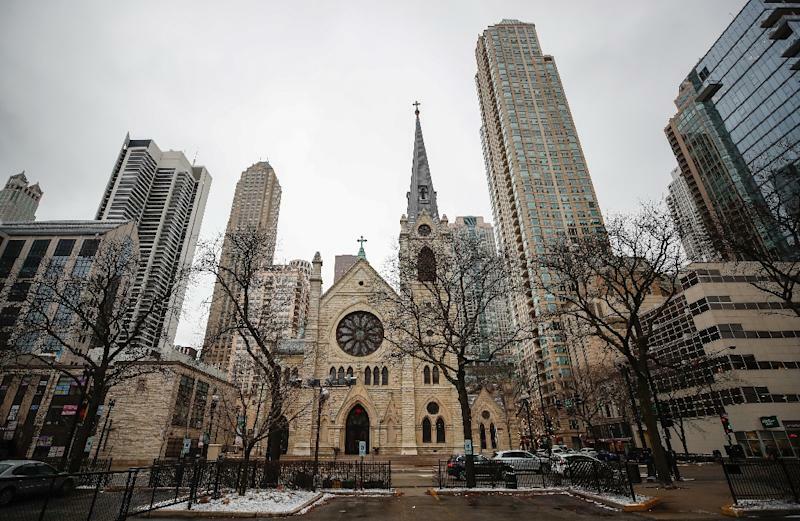 Chicago (AFP) - The Catholic Church has failed to disclose more than 200 names of clergy accused of abuse in the US state of Illinois, a law firm claimed Wednesday. The firm Jeff Anderson & Associates has previously released names of accused clergy in other parts of the country based on information it compiled from public sources such as lawsuits. Its latest report outlined 395 Catholic clergy and laypersons in Illinois who have been accused of sexually assaulting children. The report includes names previously released by the six diocese in the midwestern state. But the firm said more than 200 of the names were not disclosed on church lists. "The lists, that they have disseminated publicly of the priests who are credibly accused, are underreported," attorney Jeff Anderson said at a news conference in Chicago. Survivor advocates have complained about church officials' reliance on the term "credibly accused" -- alleging that the church uses the distinction to limit disclosures. "The purpose of this report is to disclose the scope of the peril that the Catholic bishops have chosen not to disclose and keep secret," Anderson said. It was unclear how many of the accusations were new, however, because there was overlap with previous disclosures. The Illinois Attorney General's office revealed in December that its ongoing investigation had found at least 685 accused clergy. But, officials did not release any names. Attorneys on Wednesday said a majority of the people listed in their 185-page report were discovered through civil settlements. Two survivors who appeared at the news conference beside the attorneys said the disclosures were important, even if they were not new. "What it means to me is that we're finally holding them accountable," said self-identified survivor Joe Iacono, who struggled to hold back tears. "It gives me power to know that I'm not alone," he said. The Vatican in February held an historic summit to address the ongoing child sexual abuse crisis gripping the church. During the summit, a top German cardinal admitted that files on accused priests were destroyed or never drawn up. At its conclusion, Pope Francis promised an "all-out battle" against the scourge that has damaged the Church's reputation worldwide.